Previously in the River City: Marcos and Marissa had the talk, and it didn't go like he planned. And Marcos and Dave took in a play that really hit home for Marcos. 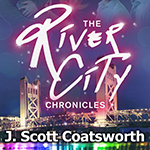 So much love in Sacramento we needed two Romance issues! Thank you Joan Cusick for the wonderful image of Misty and Jackie that graces our cover. They make such a cute couple! 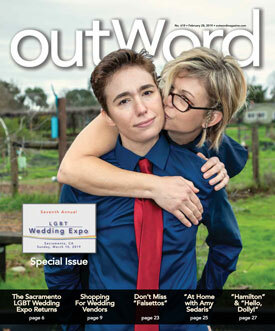 This new issue is on newsstands now, but it and the previous one, will also be available to pick up at the 7th Annual Sacramento LGBT Wedding Expo on March 10 at the Hyatt. See the ad on page 16 for more details and see the list of vendors, that will have booths at the event, on page 19. But, more importantly, come to the expo and enjoy the fun. Who knows, you might even win a great raffle prize..? Read more: The Romance Issue, The Sequel, is Out Now! And that means our annual Romance and Weddings issue is on the streets now with a wonderful, sweet, romantic cover image by local photographer, Nate Feldman. Thank you Nate, as well as Tim and Zach for letting us use your photograph, and we wish you all the very best. 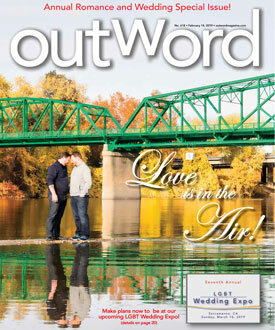 Read more: The February 14, 2019 Issue of Outword is Out Now! 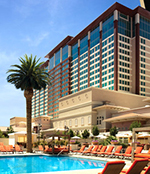 Looking for Employment in the Casino/Hospitality Industry? Thunder Valley Casino Resort is holding a Job Fair, including on-the-spot hiring. Previously in the River City: Carmelina figured out that Daniele was the one who killed her daughter. She crashed Dave and Marcos's date, but they didn't mind. Carmelina went through the box of belongings she'd bought for her absent daughter over the years - her "box of hopes and dreams" - and then she sent Daniele on his way. She found out she had a grandchild, and decided she needed to find them.